Wondering for a secure data recovery software which should be easy to execute? Ontrack data recovery software is a do-it-yourself tool which can be operated with zero knowledge in recovery. Ontrack EasyRecovery tool is most popular in Singapore and UK. If you are looking for the proven data recovery tools then Kroll Ontrack Data Recovery might be the best choice. It has the largest amount of customers all over the world which admits this recovery software very trustable in all case and to buy the PRO version without any doubt. Ontrack EasyRecovery is created with an algorithm which securely recovers any files with protection. You can recover corrupted files from hard-drive, SQL recovery, your data from external drives also. Ontrack data recovery again a good choice when you need a limited recovery, this tool comes with the Free version as well. Ontrack software is the best alternative to Stellar Phoenix and Recuva which are the famous DIY professional recovery tools. The cost of the professional version of Ontrack will be real value for your money. However, you can scan and preview the lost files with its free version without buying the tool. 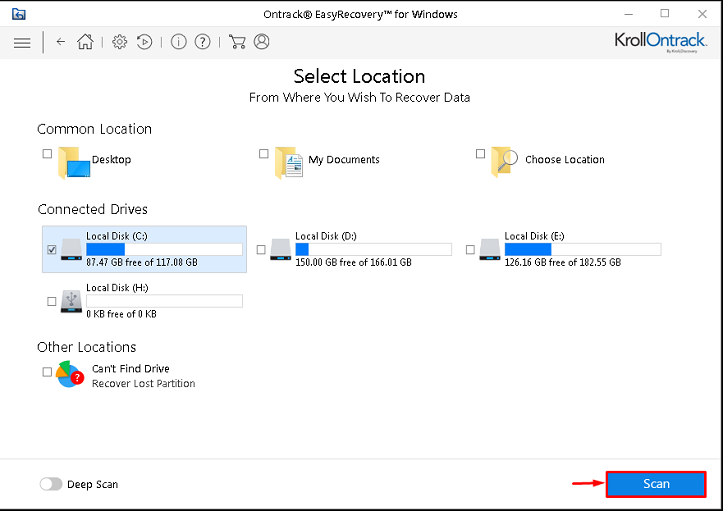 Let's get some points for a quick discussion about this tool and understand the procedure of recovering a file using Ontrack data Recovery tool. Ontrack Data Recovery tool comes with four different versions including the Free version for MAC and Windows OS both. These versions are Ontrack EasyRecovery Free, Ontrack EasyRecovery Home, Professional and Technician. The best part is Home, Professional and Technician versions provide free trial also. Ontrack offers its products for MAC, Windows, iPhone etc. This tool can recover also emails and SQL data. Supports Windows 7,8,10, Vista, XP and also MAC and iPhone. Ontrack EasyRecovery Free version can recover deleted files and lost data from deleted volume up to 1GB. Where the Professional version can recover data from the severe corrupted hard drive. But, only the Ontrack EasyRecovery Technician is able to RAW data recovery, lost data from MAC volume provided in the free trial also. 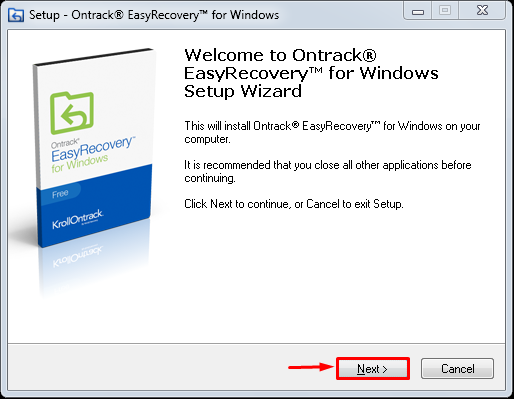 Ontrack EasyRecovery Technician supports and recovers HFS, HFS+, FAT, ExFAT and NTFS file types. This is not free but you will also get a free trial to test these features. 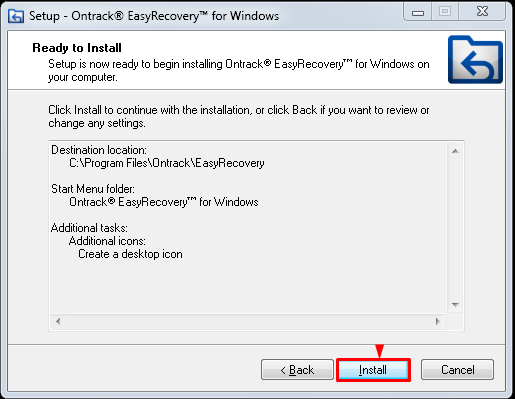 Ontrack EasyRecovery Free version can recover deleted data, lost hard drive on Windows OS and corrupted images from damaged hard disk. Offers free option for both Windows and MAC OS. Provides 1GB of free data recovery. Runs on iPhone, MAC, Windows. Offers RAW recovery and lost drive recovery. All premium versions have the free trial period. High success rate and more trustworthy. Does not provide recovery option for Android. No RAW recovery in the Free version, only basic recovery. 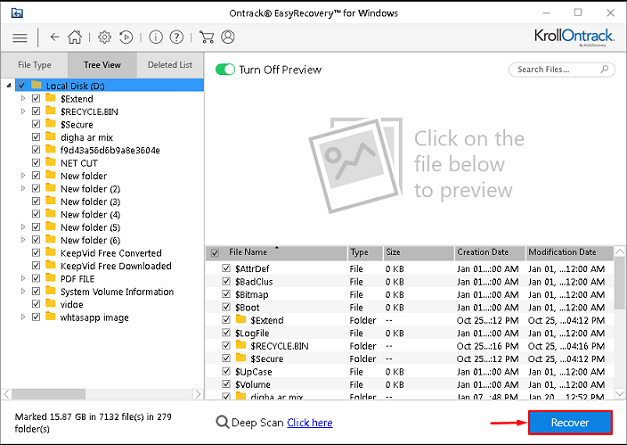 How to Recover Lost Files with Ontrack EasyRecovery? At first, to install the software just run the setup and click 'Next'. Now click on 'Install' to complete the installation. Now select the what type of file you want to recover. For the best tick on Everything and click Next button. Now select the hard drive where the files were saved and start 'Scan'. You can enable 'Deep Scan' as per your choice. Now select the files and hit 'Recover' to complete recovery. Just follow the procedure to successfully recover a deleted file. If you need to do professional recovery for forensic uses then Ontrack recovery is the best choice as it is really secure and trustful. However, you can run this for small personal uses and recover up to 1GB free data with it. 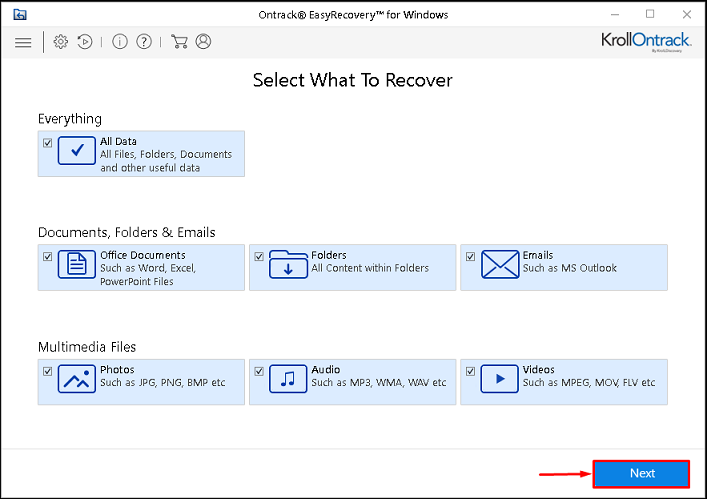 You can buy the Ontrack EasyRecover Home version at $79 for Windows OS and $99 for MAC OS for the 1-year license.